Worker bees won't construct cells for male honeybees until their colony grows to a certain population - about 4,000 workers, all told. 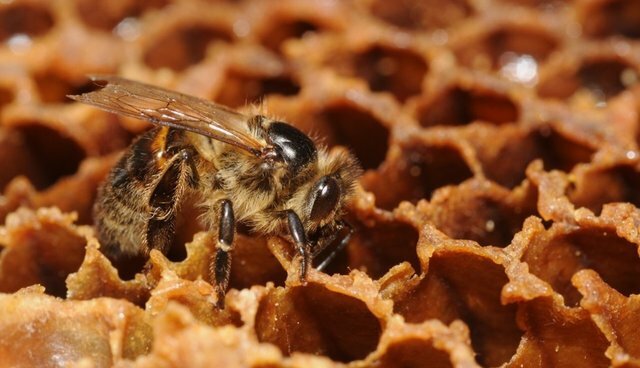 For the first time, biologists at Cornell University have identified colony size as a factor that triggers a hive's reproductive cycle, the scientists reported recently in the journal Naturwissenschaften. Four thousand bees is relatively small for a colony, Michael L. Smith, a biology graduate student and author of the study, tells The Dodo, whereas a full-fledged hive of bees numbers 20,000 to 40,000 strong. It's a mystery how bees understand the size of their colony. (Most humans struggle with counting crowds that number in the thousands.) Smith has a few ideas, though he emphasizes these are just possibilities, not answers. Bee colonies might hit puberty thanks to warmer temperatures from the body heat of 4,000 bees, or a change in carbon dioxide or pheromones concentrations, or the increased density of bees in a hive. "It's really an open-ended question," Smith says, and one that will need to be investigated through future research. 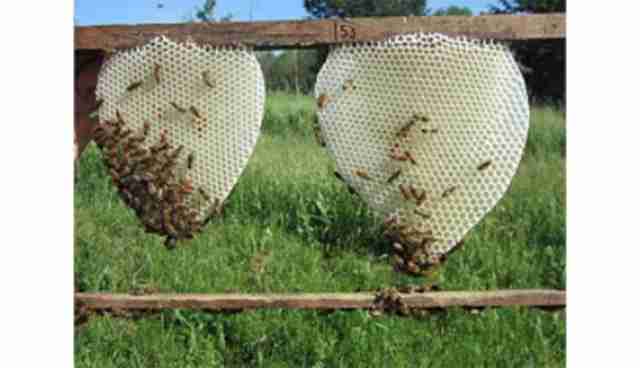 Experts still have much to learn about the life cycle of a beehive. Biologist Karl Von Frisch, who discovered the bee's "waggle dance," once famously remarked: "The bee's life is like a magic well: the more you draw from it, the more it fills with water." Considering the critical role bees play in agriculture, coupled with the fact that bee populations across the globe have been shrinking due to colony collapse disorder, any new information on a bee's life could be a boon. "Anyone who's doing work that involves the health or condition of honeybees," Smith says, "will help bees and the beekeeping industry."